Nowadays, the technology of internet of things is developing rapidly, and the application of machine type communication (MTC) is becoming more and more extensive. Meanwhile, the 3rd generation partnership project (3GPP) organization proposes a standard architecture for MTC in LTE-A networks. However, when a large number of MTC devices handover authentication at the same time, the use of 3GPP handover mechanisms takes up more signaling resources, which will cause signaling congestion and vulnerable attacks. 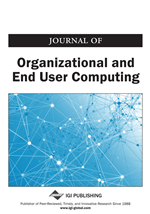 To solve this problem, the researchers propose an aggregated handover authentication protocol for MTC in LTE-A networks. Compared with the current 3GPP standards, the scheme can not only avoid signaling congestion, but also support more security. Finally, the researchers use colored petri nets (CPN) to model and analyze the proposed protocol. Simulation results show that the protocol is secure and achievable. When a MTCD handovers from one eNodeB (eNB) to another, a safe and fast handover authentication process is necessary. On the one hand, the researchers must ensure the security of communication in the process of mutual authentication between MTC and eNB. On the other hand, due to the fact that MTCD are resource constrained devices, it is necessary to ensure a low computational cost and less communication overhead. LTE-A standard employ the key management mechanism of the chain structure (3GPP TS 36.300 V14.2.0,2017), which contains different ways to derive the new session keys based on vertical or horizontal key derivations, but there are some defects in this key management mechanism.